Teachers’ Day (05-09-14): The Theatron Club (M.Sc.) put up a skit dedicated to the teachers. 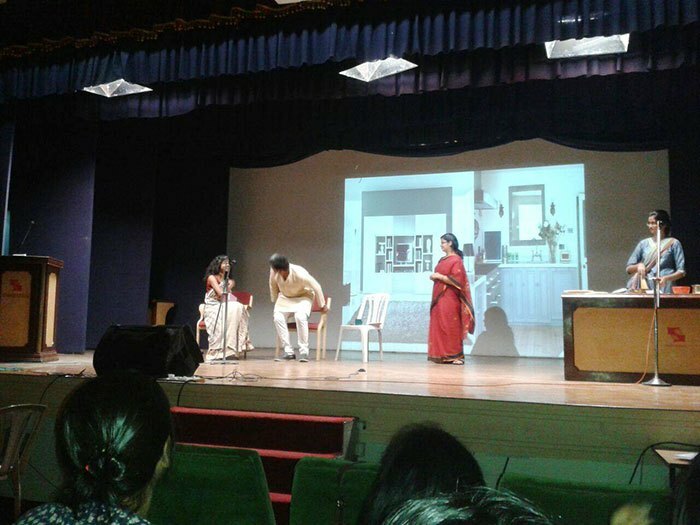 The play, titled “Ek Professor ki Kahaani, unhi ki Zubaani”, portrayed the life of a newly-hired college professor and how he handles the various situations in his professional life. 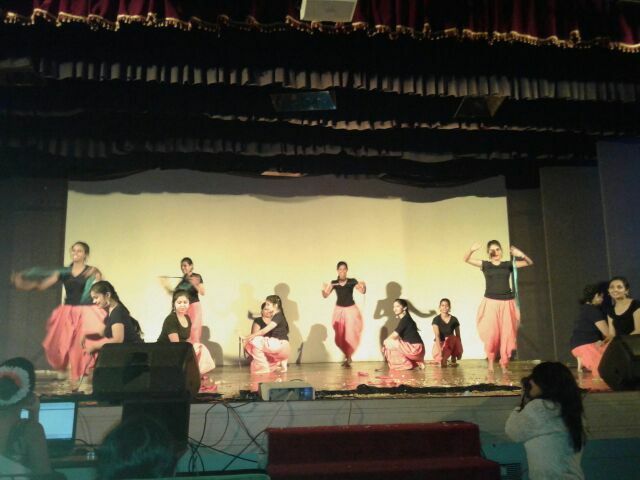 Induction Program (July 2014): The club put up a performance for the induction program held for the fresh batch of B.Sc. and M.Sc. students. Lights. Camera. Action. Who said us mundane budding economists couldn’t bring some color into life? On the 18th of September, SSE celebrated a festival of colors and cultures. On the last day of this semester i.e., on the 1st of October,2012 Samarpan club organized a Diwali Stall in collaboration with an NGO Santulan ( to begin with ) . The NGO conducts free de addiction camps for alcoholics and drug addicts. 25th August, 2012 saw Sabujayan (Environment Club) members come together to voluntarily clean up Symbiosis Hill (locally known as Hanuman Tekdi). Sabujayan is committed to the theme of ‘Sustainable Development’ and we decided to begin the new academic year by cleaning up a green zone in our locality. 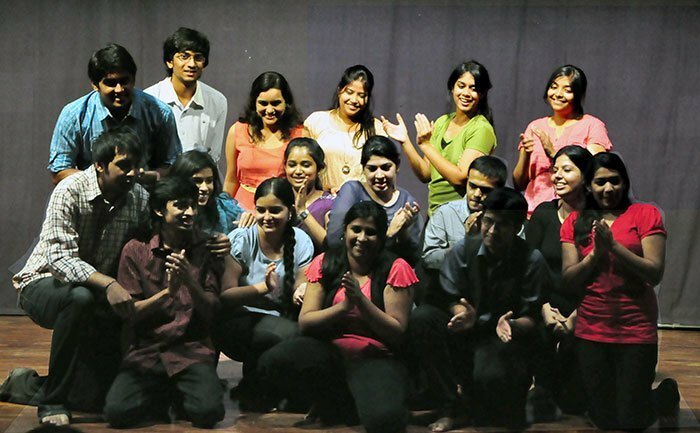 The Music Club organized an Inter Batch Antakshari Competition on Wednesday, 29 August 2012. It was without any doubt a perfect ice breaker between all the batches. 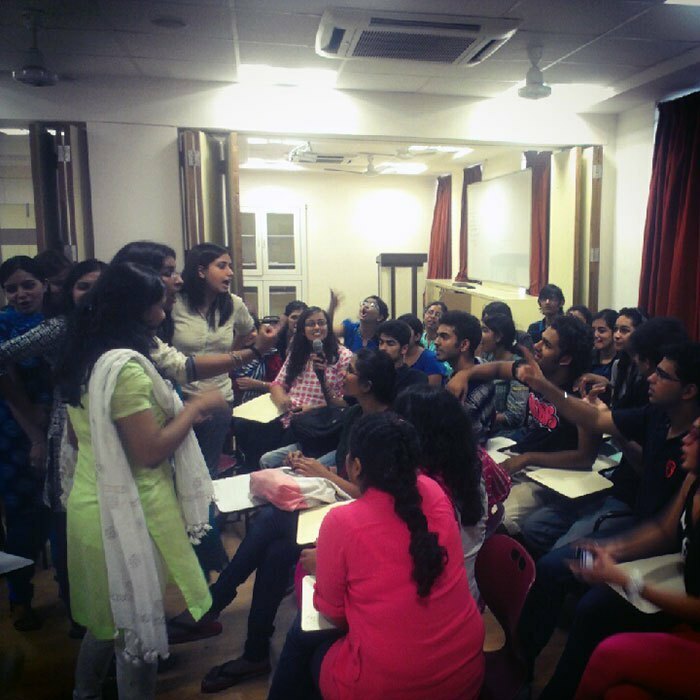 There were 3 teams in total and every team represented their batch. M. Sc. Day (27-03-15): The Theatron Club (M.Sc.) made a guest performance on M. Sc. Day organized by the Econ Club. The short skit, titled “Love is a Promise”, was dedicated to our parents. The story dealt with an old couple and how, despite, all their daily arguments, they stood by each other at the end of the day. 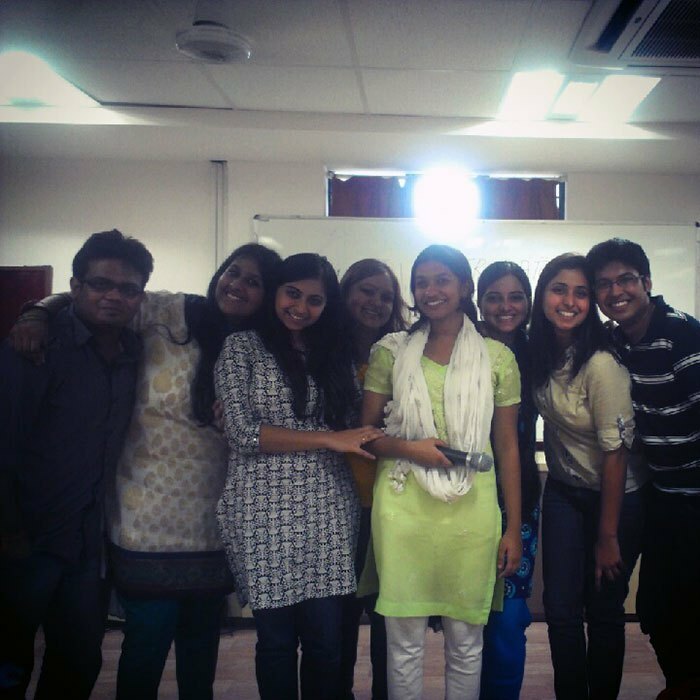 Ethnic Day (September 2014): The students of the club (both from First Year and Second Year M.Sc.) participated in the dance competition held on Ethnic Day. A first year M.Sc. won the first prize while the second year M.Sc. batch came third. 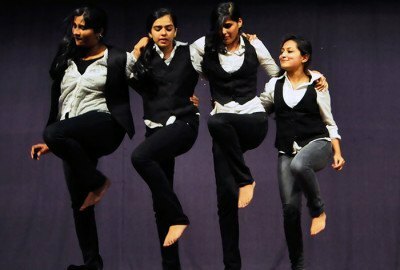 LF Talkies 2015 (January 2015): The Choreography Club organised Footloose (Solo Dance Competition) for the annual college fest, Laissez Faire. The club also assisted in the opening act of the festival ‘Sanjog’. M.Sc. Day (March 2015): The Choreography Club made two guest performances, ‘Quest’ and ‘Safar’ on M.Sc. Day organised by the ECON club. Lights. Camera. Action. Who said us mundane budding economists couldn’t bring some color into life? On the 18th of September, SSE celebrated a festival of colors and cultures. 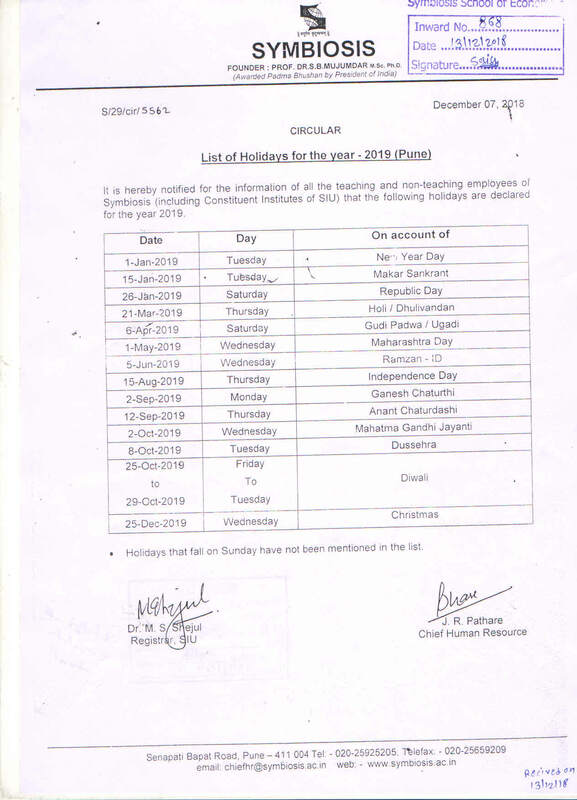 Needing a day off from all the stress of exams and projects, the students needed a reason to dress up and the council came up with the idea of celebrating an Ethnic day. 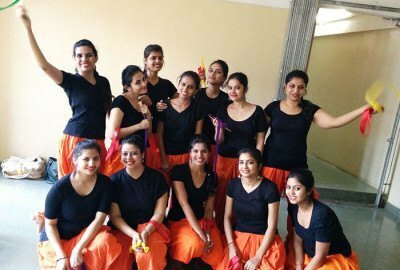 With the ladies clad in gorgeous colors and boys in kurtas, the college celebrated its first ever intra-batch singing and dance competition. With a week-long preparation put into the dances, the students’ fervor could not be contained. 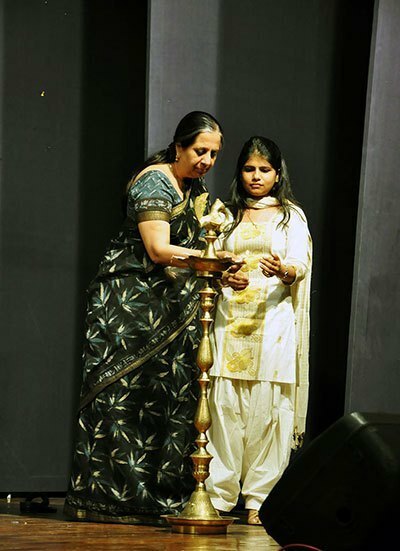 The event started with the lighting of the auspicious lamp by the Director, Deputy Director and two student representatives. The stage was then set for the talented to mesmerize their peers. The singing competition started with the head of the Music club performing a beautiful duet on a song from the movie Agent Vinod. 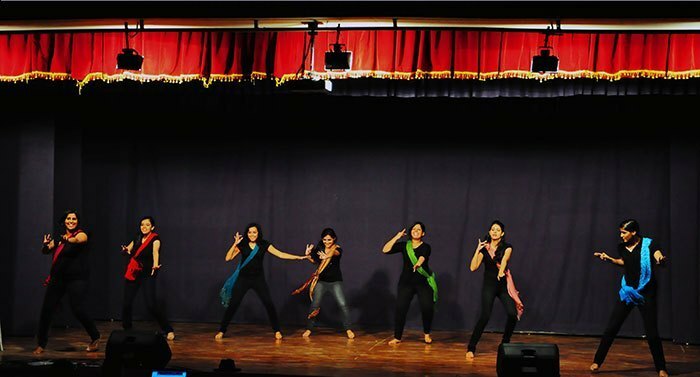 This was followed by the groups from first, second and third years performing captivating numbers from Bollywood movies. Eventually, the team from the second year bagged the trophy. Next, the teams from the batches set the stage on fire with their jhatka’s! With great enthusiasm and ardor, the teams left the audience star struck. Dancing on Bollywood numbers from the 60s through the Madhuri days and the present day Kareena numbers, the girls looked oh so gorgeous and the boys, few as they were, looked charming. All in all, there was color, fever, grace and electricity on the dance floor. The third years won the dance competition. Right when the third team finished, the student council put in a surprise performance for the audience. Just as the show was coming to an end, the MSc batches decided to join the party. The entire class of fifty decided to take to the stage and let their hair down. It wasn’t just a celebration of cultural diversity; it was one of cultural unity. All that vigor and team spirit just bought everyone together for those three hours, leaving the audience for more! On the last day of this semester i.e., on the 1st of October,2012 Samarpan club organized a Diwali Stall in collaboration with an NGO Santulan ( to begin with ) . The NGO conducts free de-addiction camps for alcoholics and drug addicts. Since they were asked to evict their current establishment the students , staff, and faculty of SSE pitched in to help them set up a new de-addiction center. The items sold were Homemade chocolates and decorated diyas out of which the diyas were made by the addicts themselves who are a part of the NGO and the chocolates were made by the student volunteers who work at Santulan. The stall was set up in SSE campus right in front of the gym area. The big hit of the day were the homemade chocolates upon which SSE gorged to their hearts content. The NGO was extremely happy with the support showed by SSE and extended an invitation asking the students to come and join Santulan. 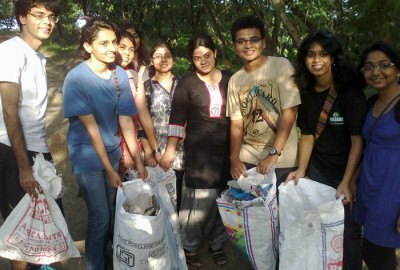 25th August 2012 saw Sabujayan (Environment Club) members come together to voluntarily clean up Symbiosis Hill (locally known as Hanuman Tekdi). Sabujayan is committed to the theme of ‘Sustainable Development’ and we decided to begin the new academic year by cleaning up a green zone in our locality. The hill, which is located between Symbiosis, BMCC and Fergusson College, is already a hotbed of various activities like rain water harvesting and tree plantation conducted by local NGO’s. 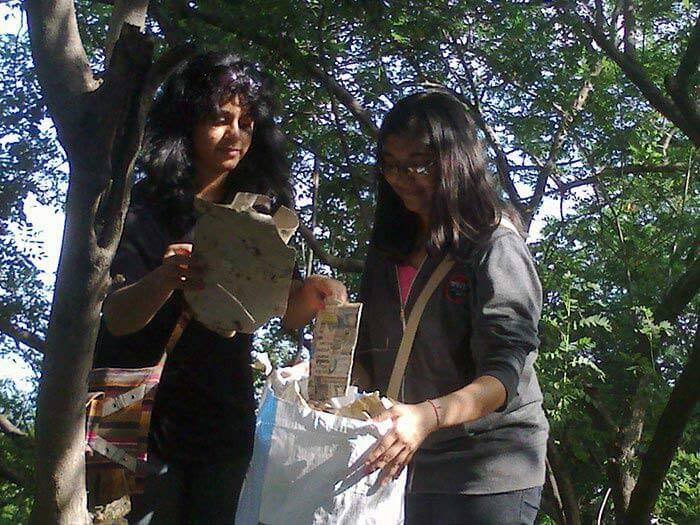 Being a popular student hangout as well, the unspoken need for a cleaning-up exercise on the hill was observed. 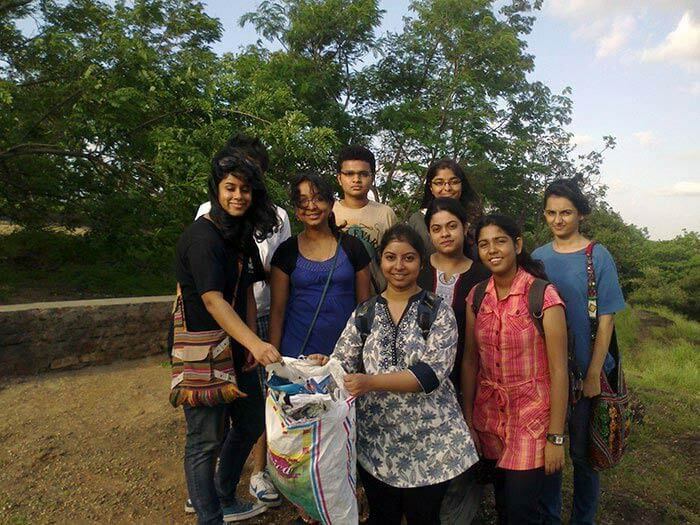 Hence, in the early evening hours of this Saturday, a group of SSE students, armed with empty cement sacks and tons of enthusiasm, climbed up the hill to make a difference to the landscape in their own way. Biscuit and toffee wrappers, paan packets, plastic bottles, broken liquor bottles, plastic bags, newspapers, et all, nothing was spared! Observing the litter strewn over various ‘resting spots’, each member expressed concern at the utter lack of regard for the ecology of the hill. The exercise continued for an hour by which time our sacks were filled to the brim. Exhausted, but extremely satisfied, the volunteers disposed the garbage they had collected in the nearest municipal garbage dump and were then treated to some snacks and refreshments. The drive was pronounced a success and there was a unanimous vote on planning similar activities on a larger scale in the future. Sabujayan thanks all the volunteers for their enthusiastic participation and support. The team of first years, full of unity and enthusiasm, had a most number of people by their side. 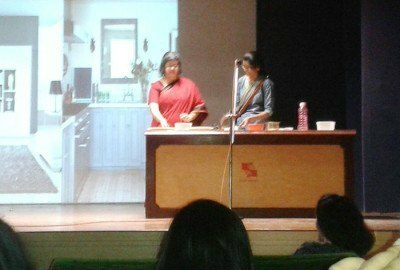 The first round of plain Antakshari ended with a tie between the second and third years. To break the tie the two teams played a round of ‘Cut-Cut’ where they had to pick a word from the previous sung song and start with a new one using that. This was a very impulsive round and the Third years amazed everybody with their incredible spontaneity with songs. The final round was between the Third and First years. The competition was cutthroat and the first years put up a very impressive match. The winners of the Competition were the ever energetic final years, Karan, Prerna, Devika, Yaswi, Shreyanjali, Devadyuti and Bandana. 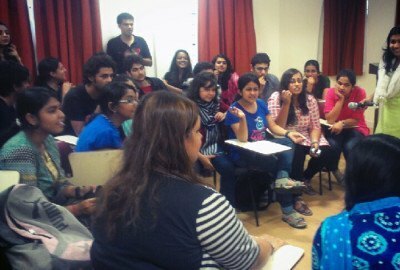 All, in all SSE, had a fun time singing and reminiscing some of the much-underrated songs of Bollywood.